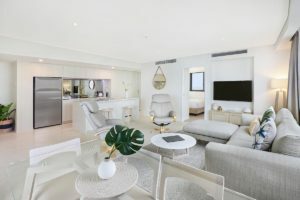 You will love these luxury apartments Sunshine Coast. The Breeze is the finest holiday accommodation in Mooloolaba yet to emerge from Aria Developments. This striking complex redefines the category of luxury holiday accommodation on the Sunshine Coast. 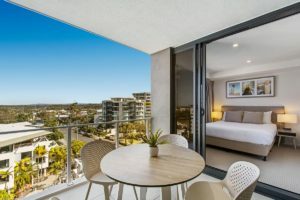 The Breeze’s prime location beside Mooloolaba Beach and the Esplanade mean the beach and walkway are right there along with the fantastic array of cafes, restaurants and boutiques. The unique and curvaceous balcony floor planes have been designed as much for functionality as stunning looks. The individual shapes allow for maximum sunshine and light to enter not just your apartment but also your neighbours above and below. Everyone is given their fair share of daylight. Equally too, the floor to ceiling windows also provide for stunning views over the beach and the deep blue beyond of the Coral Sea. 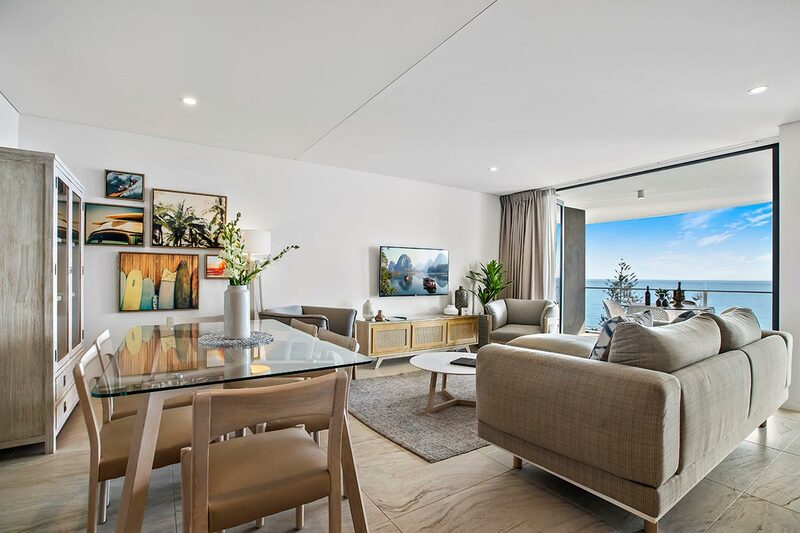 We know that visitors to the Sunshine Coast do not live on light and views alone, which is why we have equipped each apartment with superb chefs kitchens. Everything need to prepare the best meals is here at your fingertips. The best produce and the best seafood is also around the corner. A trip to Mooloolaba is not complete without a trip to the seafood markets on Mooloolaba Spit to pick up a tray of Mooloolaba`s finest prawns, or whatever else may be catch of the day. Surprise yourself and your family. Fish du jour, whatever that may be. The hinterlands offer a different landscape again, with the intriguing Glasshouse Mountains. If you find yourselves needing a break from all things coastal then a drive to the hinterland villages of Maleny and Montville can round out your holiday with yet another aspect of the Sunshine Coast. The weekends are best for catching the freshest produce and arts and craft markets. You’ll also find they serve a mean Devonshire Tea in this neck of the woods. There are plenty of other destinations worth visiting too. Yandina, Big Pineapple, Beerwah, Eudlo and yes, the world famous Eumundi Markets as well. 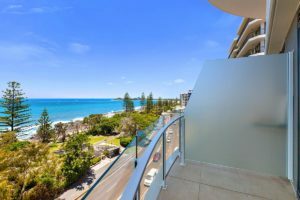 We know you’ll love these luxury apartments Sunshine Coast and the wonderful locale. It’s got everything you need for your holiday in the sun. Time’s a ticking. Book now.